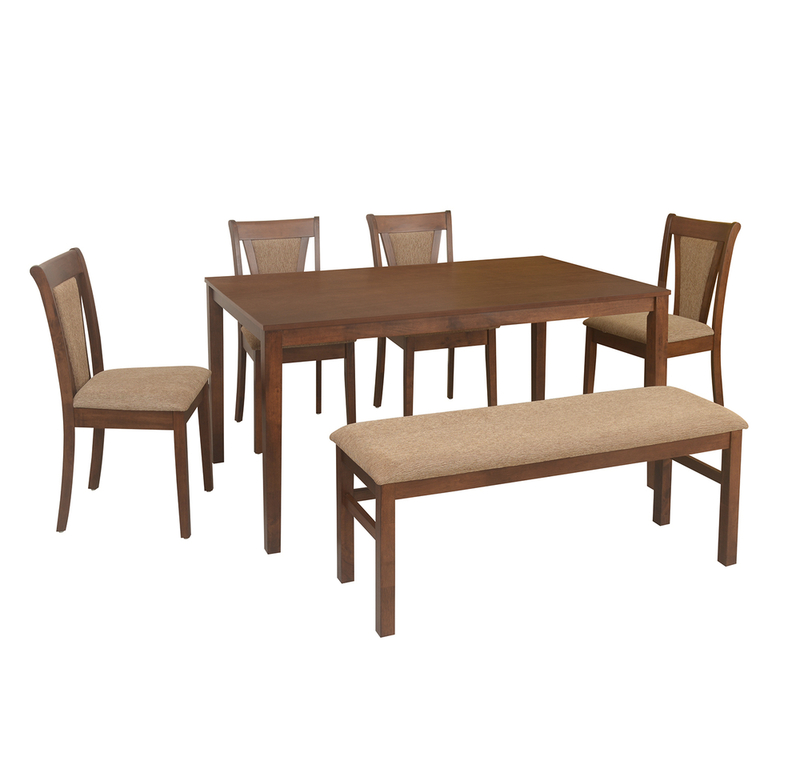 The Jewel Dining set is what you need to enhance your dining experience many folds. The set includes a table, 4 chair and bench made up of the finest materials. The table top is made up of Engineered Wood, and the table legs, and the bench and chair frame are made of Rubber wood providing a strong frame. The chair and benches are covered with the finest quality Polyester upholstery. The set has been given a melamine finish to provide you with a premium look and feel. The Jewel Dining Set is the item you have been missing to enhance your experience dining. The set is made too give a premium look and finish without compromising on the quality. The 4 chairs and the bench give your dining area a different aesthetic look, with the walnut finish enhancing the overall looks of the set and the dining area. The chairs have a comfortable backrest, so you don’t get back or neck problems while dining. The bench and chairs have the finest polyester upholstery providing you a comfortable seating and dining. Jewel Dining set is a must-have if you wish to enhance your dining experience and give your dining area a unique look without compromising on the quality and feel. Get it from @home.